We carefully select and carry hardwood flooring that will perform best in Alberta’s climate and pride ourselves in supplying our customers with top quality hardwood with superior milling, finishes and warranties to ensure the utmost satisfaction. Flooring can transform the look of a room, the key is picking the best hardwood floor for your design aesthetic and use. Solid Hardwood – the hardwood is the entire thickness of the board. Should not be used in basements. Engineered Hardwood – there is a hardwood layer on the top of an engineered platform. This allows for more options such as wider planks. Textured flooring options such as wire brushed, and hand scraped are very popular now. Rustic hardwood flooring is also in high demand! We also carry oiled or fumed flooring options. 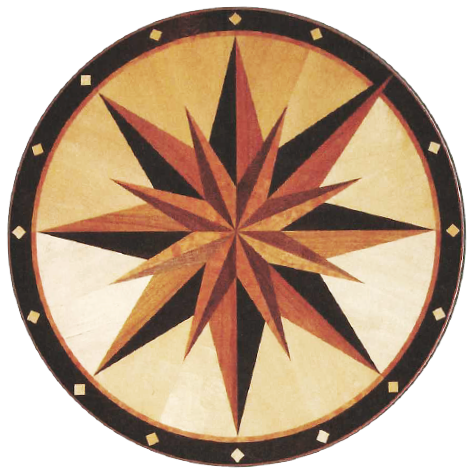 We offer custom wood accessories from mosaics to flush-mounted vents and nosings. Hardwood stair cladding & treads can make its own design statement. Select from unfinished or pre-finished hardwood in many species such as White Oak, Red Oak, Birch, Ash, Hickory, Walnut, Maple and more. Our hardwood floor suppliers include Vintage, Mirage, Hakwood, Preverco & more. They are listed on the relevant product pages. Get a $.50/sq.ft rebate on your purchase of Mirage hardwood floors. Visit our showroom to learn more and view the beautiful options. Most of our hardwood species can come as either a solid or engineered floor with other considerations such as width of planks, thickness, and texture. Oak – We offer North American Red Oak and White Oak, and European White Oak hardwood flooring. They have similar grains, however the coloration will vary. European White Oak floors can be fumed where the tannins of the wood naturally darken. Hickory – Hickory hardwood flooring is 40% harder than Red Oak, has a softer grain similar to Walnut, and comes with lots of color variation. Walnut – North American Black Walnut is popular because of its desirable deep brown tones and creamy sap wood. Walnut is around 25% softer than Red Oak and not ideal for a busy home or heavy dogs. A hand scraped or brushed Walnut floor helps camouflage some wear. Maple – Maple is a very light-colored hardwood and is softly grained. It is a popular choice for clients looking for clean lines and a subtle floor. Vintage Hardwood’s engineered floor called Etched does a linear wire brushing that helps to hide wear. Birch – Yellow Birch is a popular choice for clients that want some grain, but not a heavy grain in their hardwood flooring. This is a unique flooring that has a holographic appearance on some of its boards. Birch is slightly softer than Red Oak and can be a great choice. Sapele – Known as African Mahogany, Sapele is 16% harder than Red Oak. Sapele floors often have a ribboned grain and a traditional flat sawn grain that is soft and subtle. It is a unique looking hardwood commonly sold in its natural rich browns and burgundies but available in a variety of colors that look great with the ribboned grain. Ash – White Ash is a durable wood that is 2% harder than Red Oak, but much more stable and a grain that’s slightly more elongated. Its light-yellow sunny tones look great in Natural however Ash hardwood floors also comes in a variety of stains. 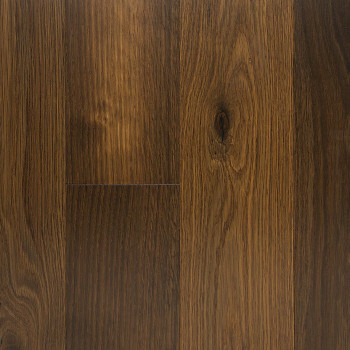 Hakwood Flooring has a beautiful fumed Ash called Blaze that is a unique rich golden colour. Visit our Edmonton showroom to view our selection and discuss the pros and cons with knowledgeable staff, or book a free consult!